When I thought of traditional recipes with a twist, I was really looking at ideas that you regularly make but convert them into something entirely new. I enjoyed the creative recipes that came out from fellow marathoners for the first week of BM. I think any recipe that makes you think “wow, I never thought of it”, will surely fit the bit. 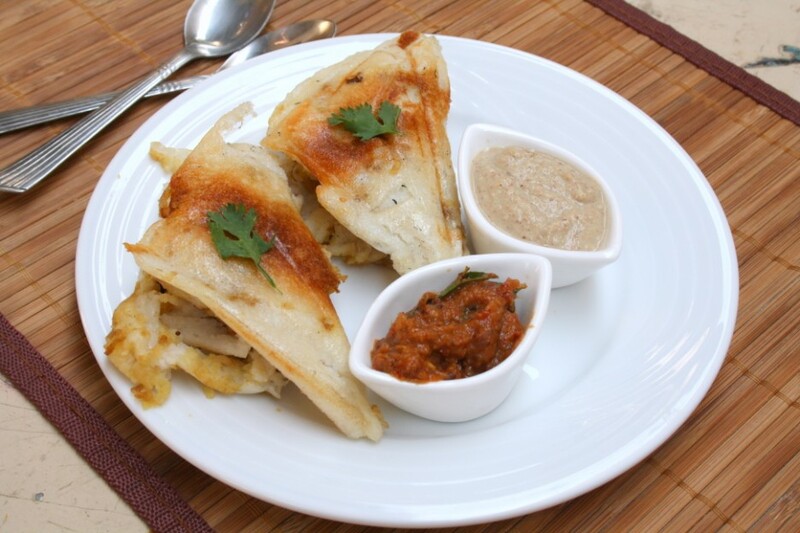 It can also be something that you just experimented or change the western dish into Indian or vice versa. I was for anything that will make you sit up and notice. While coming up with ideas for my own dishes, I remembered a particular recipe prepared by one of the contestants during a contest. It was a contest where I was playing the photographer of the dishes. Somehow I was so taken in by the twist and always wanted to try it myself. This works out even perfect if you have leftover idli batter and don’t want to do the regular masala idlis or Idli upma etc. Wash and make the potatoes with knife on top, then mw for 6 -7 mins. Peel the skin once done, mash well. 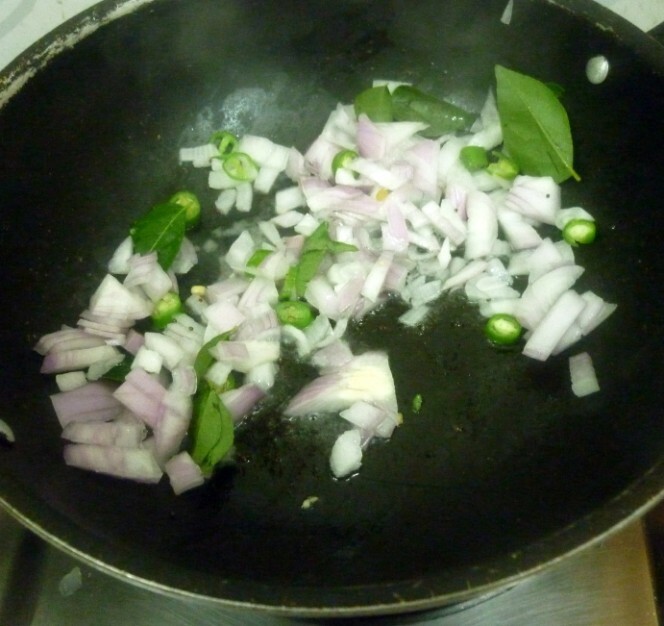 Heat a non stick pan with oil, saute onions, green chilies, mustard seeds, curry leaves. 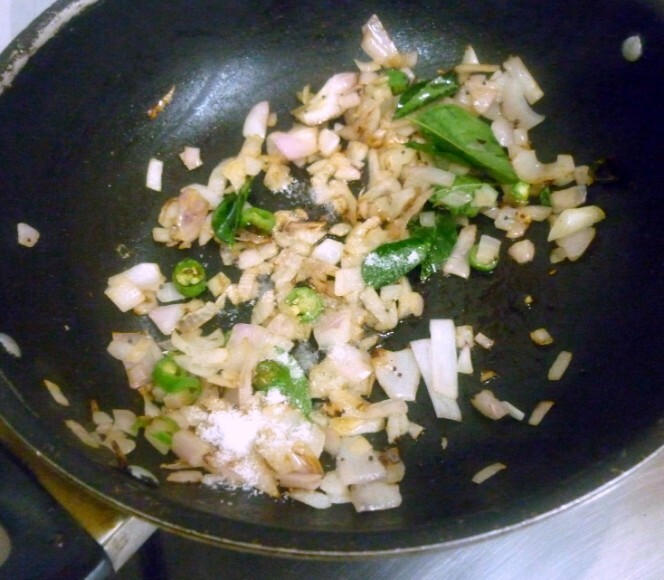 When the onions are done, add mashed potato, salt and turmeric powder. Mix well and simmer for 5 mins. Keep it aside. 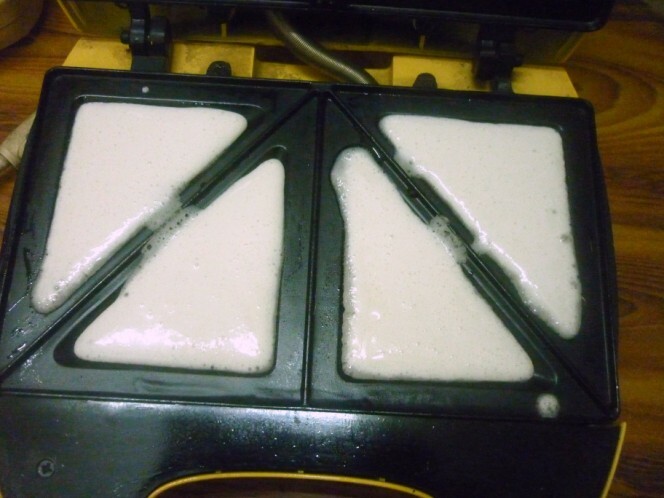 Grease the sandwich maker with oil. Switch to power mode. It will automatically turn to green when it becomes hot. 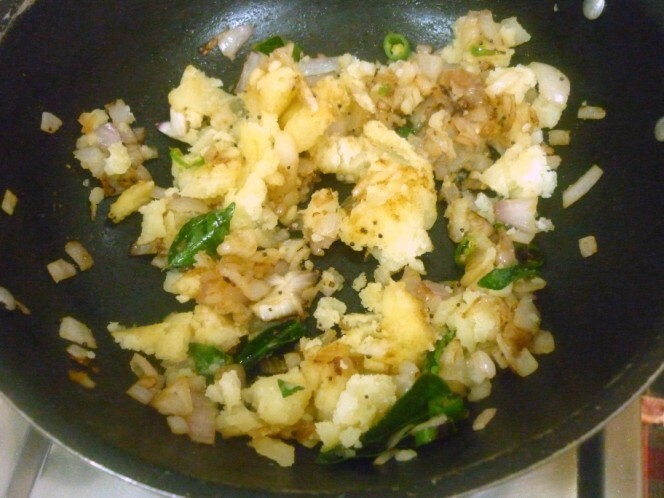 Pour few drops of oil on the bottom pan, using a ladle pour the idli batter on the bottom pan. 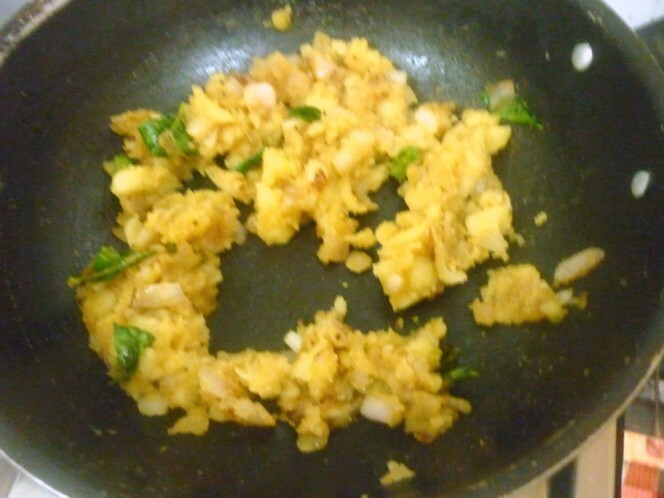 Scoop a spoonful of potato masala on to the center, cover with more batter. Sprinkle with oil again and close the top. 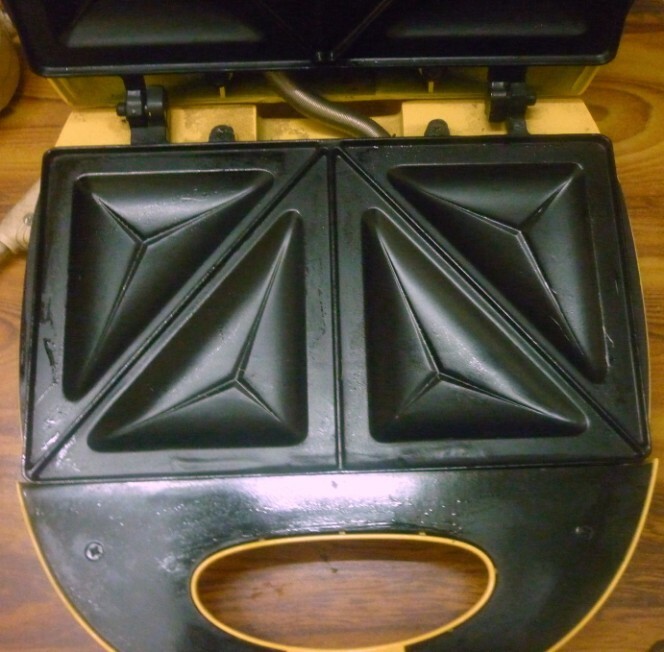 At this stage, the light on the sandwich maker will be yellow. Once it is cooked the light turns to green, open and check if it’s done. Since this is a non stick appliance, make sure you don’t use any sharp objects to handle the cooked idlis. Once the bottom is grilled well, turn to the other side and cook for couple of minutes. 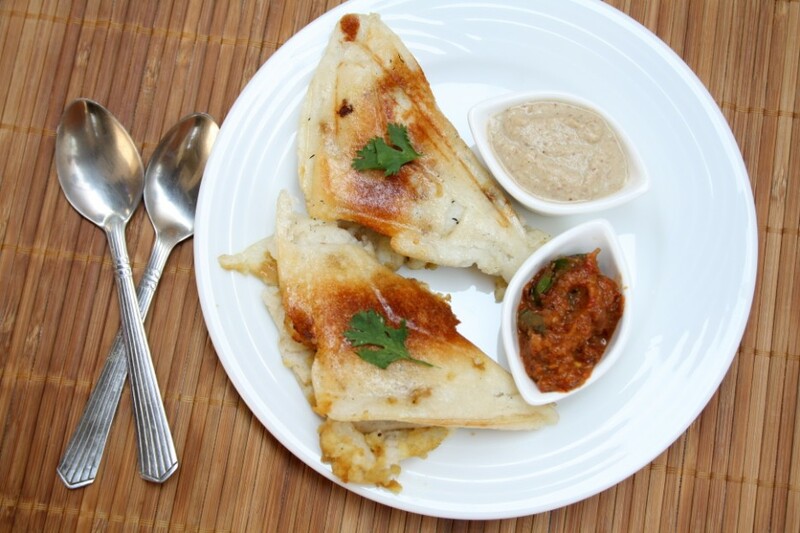 When it’s cooked on both sides, remove and serve with chutney of choice. Any masala can be added instead of potato. I have covered two of them together and formed a sandwich shape. Amma said she couldn’t identify that I made these on the sandwich maker and it was really so delicious with the other crust being so crispy and well grilled. 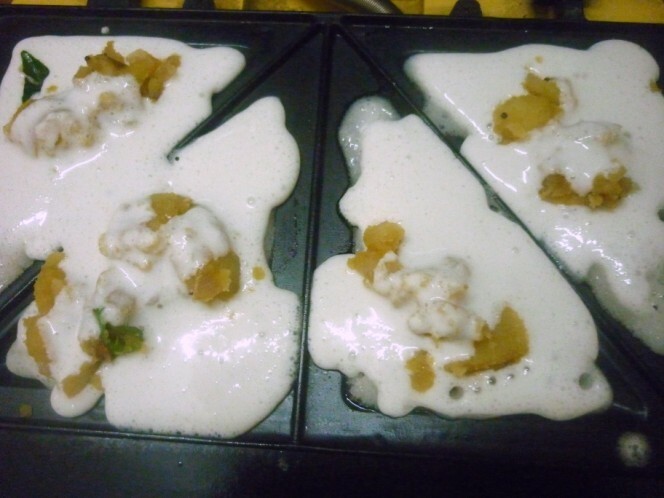 …I still haven't tried any idlis yet…I must do so soon!!! 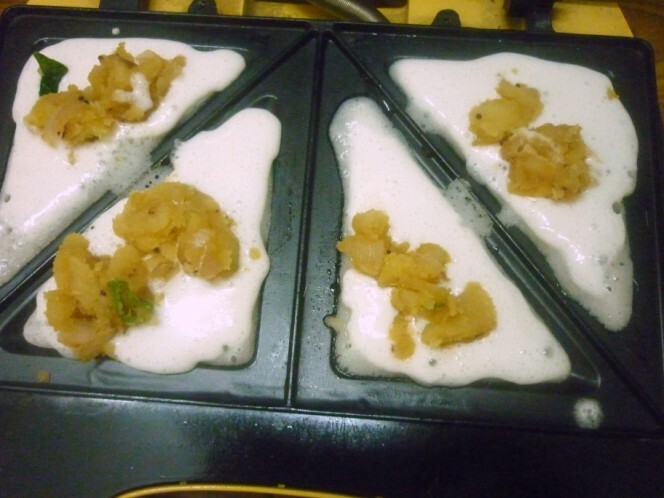 this is a wondeful way to use idli batter..wow..amazing recipe..Infact I make dahiwadas this way!! Wow! A real twist indeed! Have never tried of heard of this before. Great idea. This is an innovative recipe.. Good one! A very new twist and mind blowing idea. Can't beat this one for sure. Very nice Valli. Lovely!!! thats a creative one there! This is one twist that I am sure to try out, Valli. Love the idea. wow this is nice. 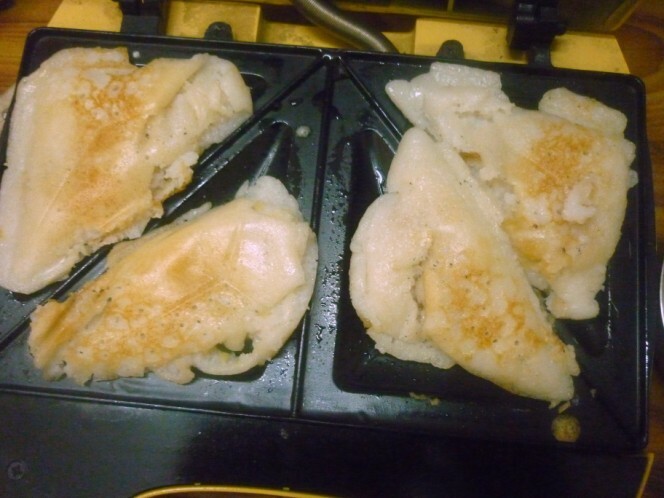 does the batter cook well inside in a sandwich maker? superb one. love the idea. When I saw the theme I know you are going to make some thing like this. This is the real twist Valli supeb!!!!! That is quite innovative. I have never used that sandwich maker for anything else besides bread. That is indeed a major twist. Lovely! Wow, this sounds so interesting. idly in a sandwich makes, very new valli, looks yum!!! The clicks look so delicious and appealing that I feel like trying out it immediately…..